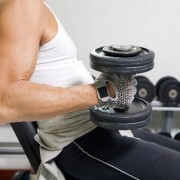 WHY DON’T HEALTH CLUB MEMBERS SEEK ASSISTANCE FROM AN ATTORNEY WHEN THEY ARE INJURED IN THE GYM? I have discussed before the number of injuries that are reported in regards to health club and fitness facility injuries. But for all the injuries that get reported, there is a reverse side to this issue – the many injuries that don’t get reported. Before becoming an attorney in Wisconsin, I worked for many years as a Medical Exercise Specialist in various health club facilities. On more than a few occasions, I saw people sustaining injuries in the health club. But, usually the injured person would just act as if the injury didn’t happen, or wasn’t important. I’m not talking about injuries that are sustained by a person’s own negligence. For example, if a person willfully chooses to not listen to professional advice regarding the proper form to lift weights and sustains an injury from his/her own choice, that’s clearly a case of contributory negligence. But I am referring to gym injuries that are a result of negligence by the health club owners/managers themselves. In general, health clubs, gyms, and fitness facilities owe a duty of care to members to not be negligent, and provide safety for foreseeable injuries. Different levels of care are required for different classifications of members/visitors (which I will not specifically cover here), but gym members should understand that a duty of care is owed to them. SO WHY DON’T HEALTH CLUB MEMBERS SEEK AN ATTORNEY WHEN THEY ARE INJURED AT THE GYM? In my experience both as a fitness professional and as a Wisconsin personal injury lawyer, I have found three general reasons why gym members don’t report injuries, or speak to an attorney about their gym injuries. 1) Embarrassment – Most people want to project a certain amount of knowledge and command while they are working out. Whether a health club member rips open their hand on a sharp metal object that shouldn’t be sticking out, or gets a full-body squishing from a defective leg press machine, or gets thrown off a treadmill upon a non-expected sudden stop or speeding up, or pulls a large muscle due to negligent personal training, people would rather bleed, limp, swell up, or try to walk off their injuries. 2) Members didn’t know they should or could – As I mentioned earlier, health clubs, gyms, and fitness facilities owe a duty of care to their members. The only way to keep these businesses accountable and on their toes is to report injuries, and sometimes consult a gym injury attorney to prosecute the negligence of such businesses. 3) Members didn’t know gym was at fault – Similar to the “embarrassment” issue, most people tend to blame themselves for their injuries and don’t realize that the health club is at fault. Personal injury law can be very complicated, and health club members could potentially benefit greatly by consulting with a Wisconsin personal injury/gym injury attorney to see if they have an actionable case against their health club. If you think you might have a case resulting from a gym, health club, or fitness facility injury, call Wisconsin gym injury attorney Thomas Margolis @ 608-827-1598. PERSONAL INJURY, OR PERSONAL INJURY DEFENSE: HIRE A GLADIATOR! If you are in Wisconsin, and have experienced any of these kinds of offenses, you may have an actionable legal case. If it is determined that you do have an actionable case, you need an attorney who will fight for what you deserve – you need a legal gladiator who will not leave any stone unturned. If you contact the Wisconsin law firm Margolis Law, you will be able to speak with an attorney who can help you determine if you have a case. At Margolis law, we will tenaciously fight on your behalf. We consider every case to be important, not just the big cases. Thomas Margolis is a Wisconsin based personal injury attorney, based in Madison, Wisconsin. Health club owners and managers must understand that they need to be highly tuned in to all aspects of the club’s operation because there are so many potential legal issues involved. - An employee failing to put a “Caution, Wet Floor” sign on a freshly mopped floor resulted in a member falling on her back and head. - A member repeatedly sexually harassing women in the club’s Jacuzzi. - Another personal trainer’s client falling off of an exercise bike while warming up for a personal training session. - Members using exercise equipment in dangerous, contraindicated ways. These are just a small sampling of the vast minefield of ways in which health club owners can be vulnerable to lawsuits resulting from injuries. One way health club owners and managers can mitigate both potential and real risks is to regularly inspect all of the health club’s equipment. This includes not-so-obvious equipment such as exercise balls and exercise bands. Regarding exercise balls, a health club was recently sued by a member when the exercise ball deflated while he was doing chest presses with dumbbells. Regarding bands, a health club was included in a lawsuit when a woman was using a band that snapped and hit her in the eye. Thus, health club owners and managers should be thoroughly knowledgeable in regards to the manufacturer’s recommendations of use, as well as life expectancy of all exercise equipment in the club. Inspection of the equipment should be regular, and regularly documented. Health club owners and staff also need to know all of the comings and goings within their facility. Simple procedures can go a long way in mitigating risks, such as checking every member in, making sure cell phones aren’t being used to invade privacy in locker rooms, providing thorough orientations for members, and making sure all trainers are certified and practicing within their scope of practice. These are just some of the regular practices that may mitigate the risk of an expensive lawsuit down the road. Wisconsin personal injury lawyer Thomas Margolis can help you assess your gym injury case. Contact Margolis Law today.